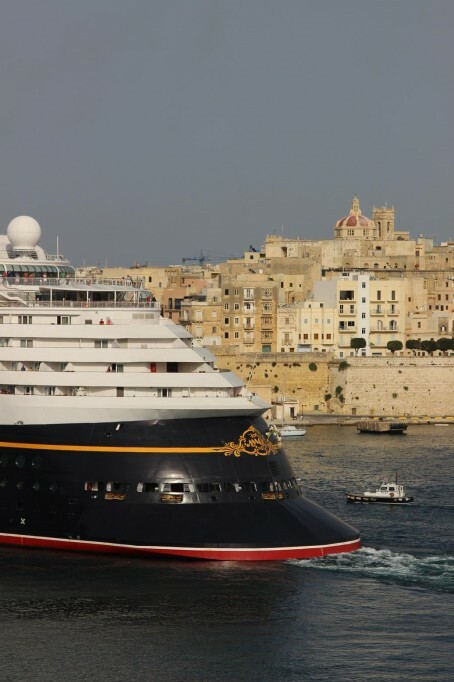 I was waiting for my guests who were from Chicago, at the port of Valletta water front; my information was that I was going to meet a lovely family to take them on one of my tours dedicated to the one day cruisers on a stop in Malta. I call it the day cruise Malta – ‘the retrospective tour’. I love these days because we have 8 hours together and for many these are the only few hours that would be enjoyed here – so I feel like I am an ambassador top our lovely islands. We made our first greetings on the dock and off we went to drive around the gentlemen city of Valletta. On our way there we started to have a good chat about our day and what to expect; I was happy to share my treasure box with my guest’s host who was a very well known doctor form the States. My guest had booked about 6 months before as he had wanted to visit Malta one day and wanted a real experience of the Maltese islands; so when I had referred him to the Day cruise Malta tour – ‘Yes’ was the answer! Valletta is a wonder of its own – and the cameras were out and snapping – my words were not enough to give this amazing city the Glory that it deserves! Nor are the photos. This place gives me the best buzz every time I visit ……The city of Valletta was mostly complete by the early 1570s, and it became the capital in 1571 when the Grandmaster moved from his seat at fort St Angelo in Vittoriosa to the Grand masters Palace in Valletta. Seven Auberges were built for the Orders landers, and these were complete by the 1580s. An eighth Auberge of Bavarie, was later added in the 18th century….thousands of books have been written about Il Belt! Our day cruise Malta continued as we finally headed out towards Qormi – the Maltese loaf capital! Here we got the chance to dirty our hands with some flour and do our own Malta bread – What a laugh!! We baked it and had a quick tea while we waited hearing a few stories of the fold gathering to get their lunch which was to be hopefully not our ‘loaf’!